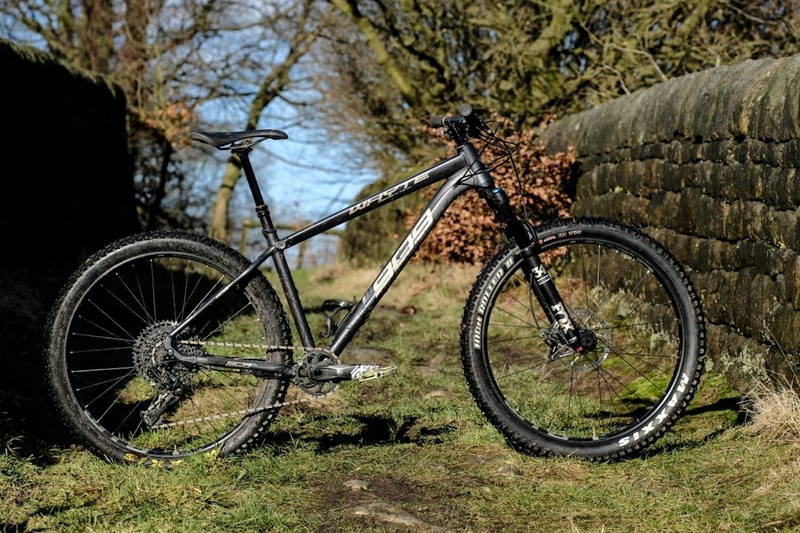 When the Whyte 909 turned up at Singletrack HQ, there were two riders particularly keen on riding it. Hannah already owns a Whyte hardtail, albeit a slightly older 901 hardtail, and she was more than interested to see what the latest chubby-tyred version would be like in comparison. And our newest team member, Amanda, was also intrigued by the beefy black Whyte. Given her only off-road experiences (up until now) have all been on the dual-boinger variety, she figured it was the perfect opportunity to see what this hardtail malarky was all about. Over to the ladies! In the UK, Whyte is known for a lot of things to many different people. From our experience of testing Whyte bikes over the past decade or so, we’d probably sum up the brand’s range of bikes in three ways: progressive geometry, foul-weather frame design, and forward-thinking components spec. Combined with competitive pricing, the brand has experienced significant growth both in the UK and abroad in recent years. 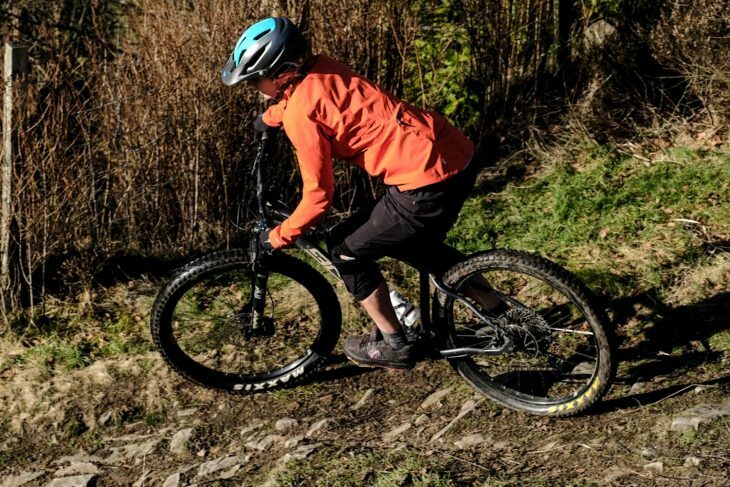 Though Whyte’s range has ebbed and flowed over time, trail riding has always been its bag. And so for 2018, you won’t find any XC race bikes, and likewise you won’t find any downhill bikes either. However, what you will see is a strong range of trail-oriented hardtails, and numerous full-suspension models from the 130mm travel T-130, all the way up to the monstrous 170mm travel G-170. The 909 sits at the top of a three-tier plus hardtail tree, with the 905 and the 901 sitting beneath it. Each model utilises the same alloy frame, a 130mm travel fork, 27.5in plus tyres, and the same geometry, and you can get each bike in Small through to X-Large frame sizes. Using hydroformed and heat-treated alloy tubing, the 909 is a good-looking rig. 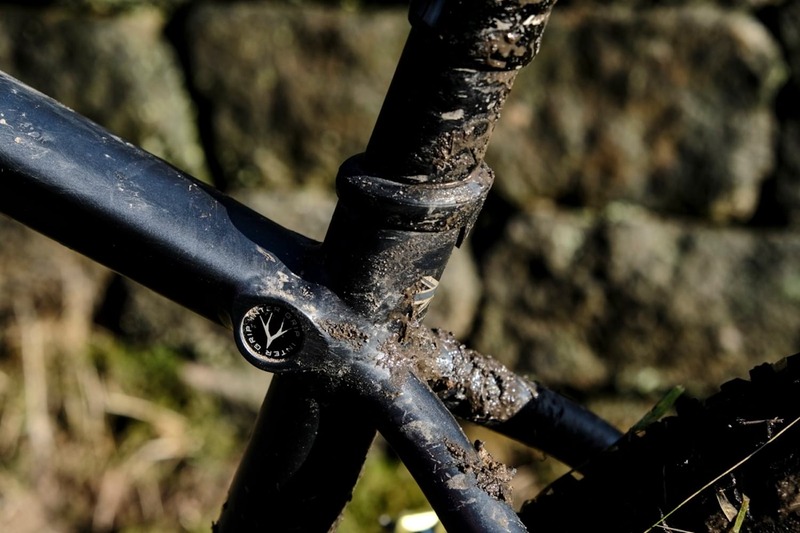 The frame features shapely S-bend seatstays for compliance, and fluted tubing around key junctions such as the head tube and bottom bracket for added strength and stiffness. 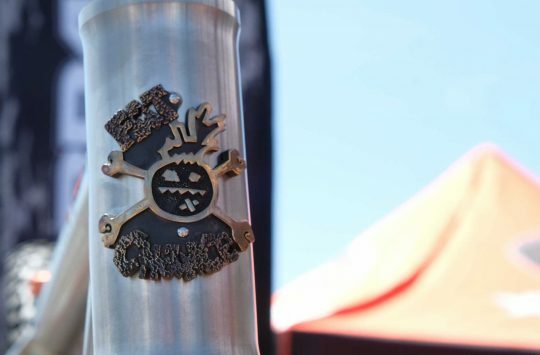 There are near details abound, such as Crud Catcher mounts on the underside of the downtube, and a hidden wedge inside the seat tube that purportedly offers a more secure grip on the seatpost. 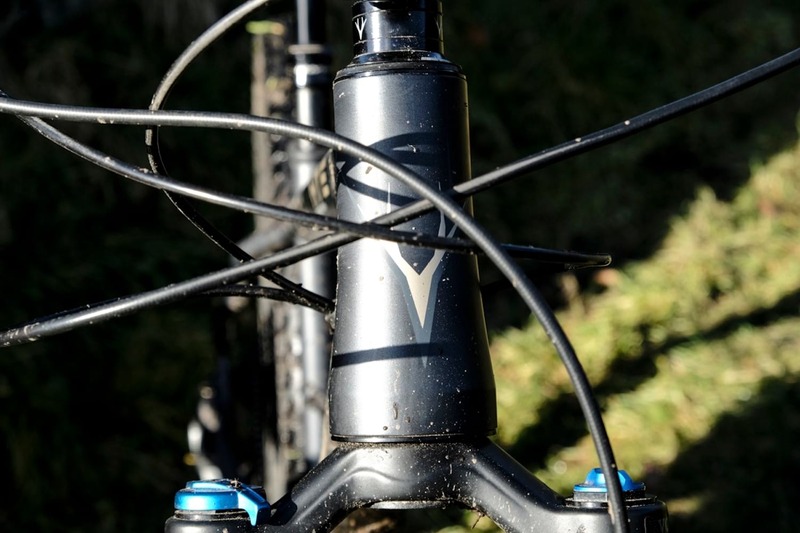 Cable routing is internal for the front triangle, and external for the rear. 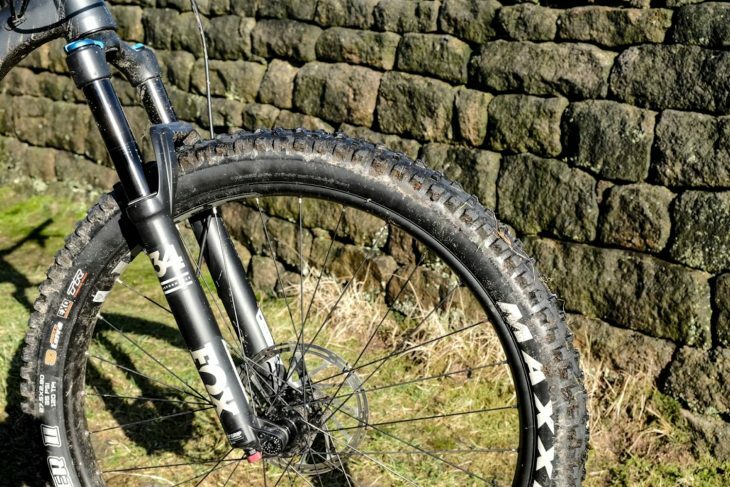 Updated over the 2017 909 hardtail, the new bike is purpose-built around 27.5×2.8in plus tyres. Despite the bigger rubber, Whyte has still kept the rear centre short at 430mm, while retaining the bridge-less stays for huge mud clearance – an important feature given this bike presents itself as a compelling option for winter trail riding. 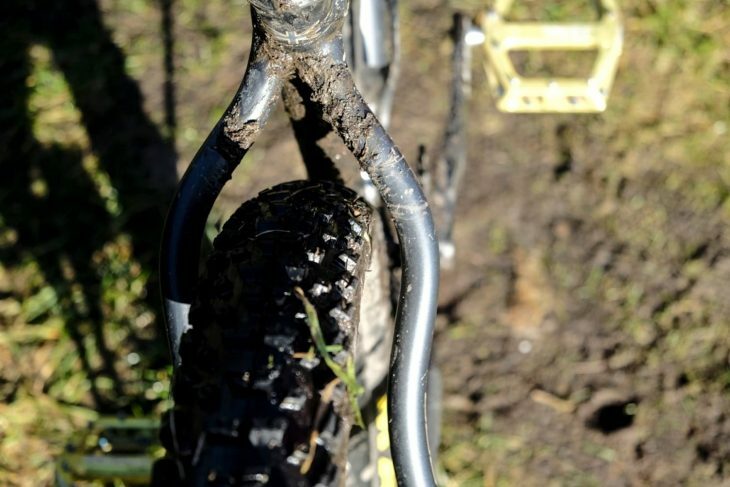 Being a Whyte, the geometry is progressive – especially for a hardtail. 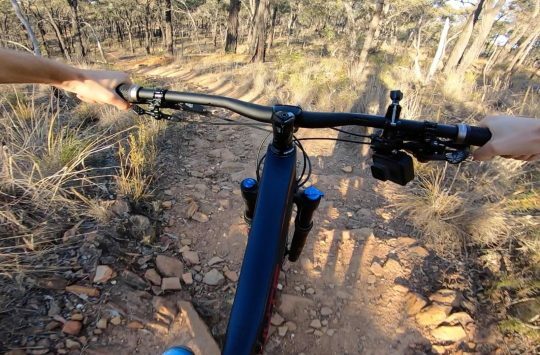 The 909 is designed around a 130mm travel Fox 34 Float fork, which uses slick black anodized 34mm diameter stanchions and the excellent GRIP damper. There’s a 65° head angle, and on our Medium-sized frame, a 445mm reach measurement. These two numbers help to kick the front wheel out nice and far, taking up a significant percentage of the huge 1187mm wheelbase length. The 73° seat angle doesn’t sound steep, but it obviously steepens when you actually sit on the bike and the fork sags into the travel. Likewise, the effective reach actually gets longer due to the same reason. Another number that stands out is the low bottom bracket height – 297mm unsagged. When you’re on the bike, this low BB helps to keep your centre of gravity nice and low to the ground, offering more stability. 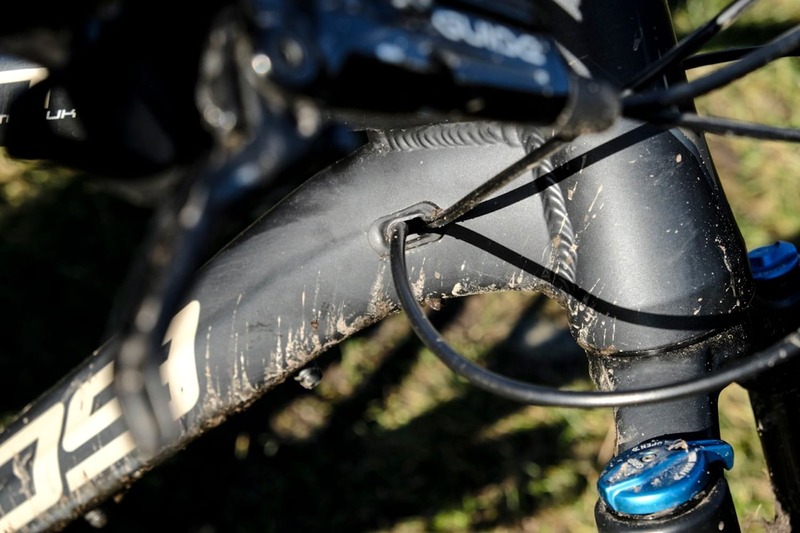 Because of the low BB, Whyte has spec’d shorter 170mm crank arms to provide a little more ground clearance. Parts-wise, the Whyte 909 features a full SRAM GX Eagle 1×12 drivetrain, Guide R brakes, and an excellent custom wheelset that features a sealed bearing front hub, a Hope Pro4 rear hub, and 35mm wide WTB tubeless compatible rims. These are wrapped with 2.8in Maxxis tyres, with a chunky-looking High Roller II on the front, and a faster rolling Rekon on the rear. 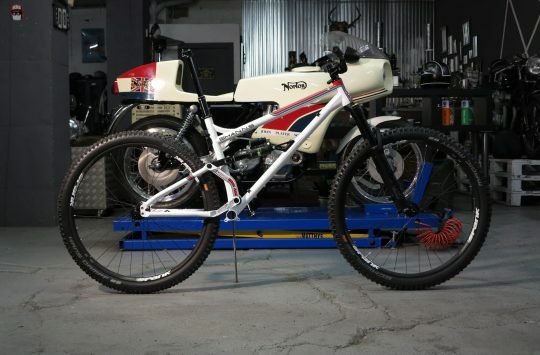 When the Whyte 909 appeared in my line up of things-to-photograph-for-fresh-goods, I checked I had passed my three month probationary period for working here then proceeded to announce my big confession – I had never ridden a hardtail before. I knew I needed to bring this up at some point, and the gunmetal grey [Is it not just black? But then, you’re the designer, you’re probably right – Ed], chunky tyres and good spec of the 909 seemed like the perfect opportunity. My first ride was a 25km loop of Staveley, a ride I know like the back of my hand and one that I thought would be ideal for my first hardtail experience. Rolling hills, smooth tracks with optional technical sections, and a fair amount of climbing straight out the carpark. 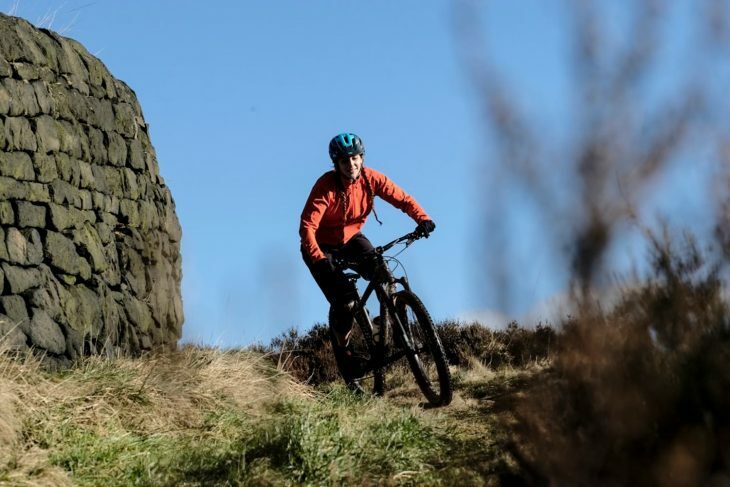 First impressions were how solid this bike felt – aside from the obvious fact that I didn’t sink into a rear shock when I sat on it, it just felt very sturdy and my initial nerves of going for a ride on my own, on a hardtail, somewhere quite remote, midweek, all disappeared. Not just smiling for the camera. I found climbing to be quite a chore until it came to the technical climbs. The ride from the carpark to the bridleway was quite sluggish, but 2.8in tyres aren’t made for road climbs so I was both relieved and pleasantly surprised when I got to a loose rocky climb and powered up it without my usual fumbling around and stop-starting. This bike is very forgiving of line choice, both up and down hill, and although the chunky tyres made for some clumsiness around rutted out sections, in general I didn’t hate climbing on it. My first downhill experience on the 909 was a long flowy singletrack with rocky banking either side of the track. I rather hesitantly set off, not knowing what to expect, and in no time at all I was very confidently pumping my way down and gradually picking up speed. Having only ever ridden full suspension I would have expected my first ride to feel a lot more foreign than it did, but the combination of chunky wheels and forks coupled with a confident riding position seemed to compensate for the lack of rear suspension. I soon found myself bored by the trail I’d chosen, and was finding ways to make it more fun. Rock gardens I usually treated as off limits (for me) on this loop were both attempted, enjoyed, and in one instance ridden twice because I enjoyed it so much the first time. The bike makes you look for more lines to try. There were several things I liked and disliked about this bike, but given that it was my first ever ride on a hardtail I have had to distinguish which of these points are just general to all hardtails. Feeling like I was playing buckaroo at times, having good traction on climbs, the responsiveness on technical features like rock drops – all lean towards being general to hardtails. I didn’t feel the brakes were enough for the bike, which is a shame since it’s such a confidence inspiring bike I found myself holding back slightly on the descents as I didn’t trust the brakes to be there if I suddenly needed them. I bought myself a Whyte 901 four years ago now. What I really wanted was a 905, but they were sold out across the UK, and anyway it was over my budget. So I bought one of the last 901s in the country thinking that although it didn’t have the forks or brakes that I’d wanted, I could always upgrade them later. Yes, I’ve had the luxury of riding test bikes as well as my own for the last few years, but while my 901 is certainly now in need of some TLC, I’ve not actually got round to upgrading much. A new bottom bracket, the seat post is now a dropper post, the tyres were swapped over when the tread on the original set could have passed for a road tyre, and the grips were swapped when I wore through the originals. In short, it’s fared well and I’ve never quite got round to justifying the upgrades I originally thought it might need – and now technology has moved on, finding parts for the old standards has got a little harder. SRAM Eagle didn’t even exist when Hannah bought her 901! Being given the chance to ride this new Whyte 909 was then an opportunity to see what my own bike might be like were I to soup it up a little. First of all, I really like how it looks – the black paint and bronze/gold decals appeal to me (and I confess that the grey and lime green of my own old Whyte were a significant factor in my choice of bike – I do think that there’s a lot to be said for having a bike that makes you want to ride it just by looking at it). I might just be tempted to choose the 909 model for its looks over the 905 and 901 in this year’s colours, regardless of any performance difference. Is it the fork, the tyres, or both that encourage (and forgive) stupidity? In action, the ride was both familiar, and new. On road climbs or double track trails, the bike feels very like my old Whyte – the ride position is the same, it’s the same not-quite-ideal to climb, but not horrible either. Definitely in need of a bit more effort than some sprinty XC bike, but it’s no pig – you just need to try a bit harder. 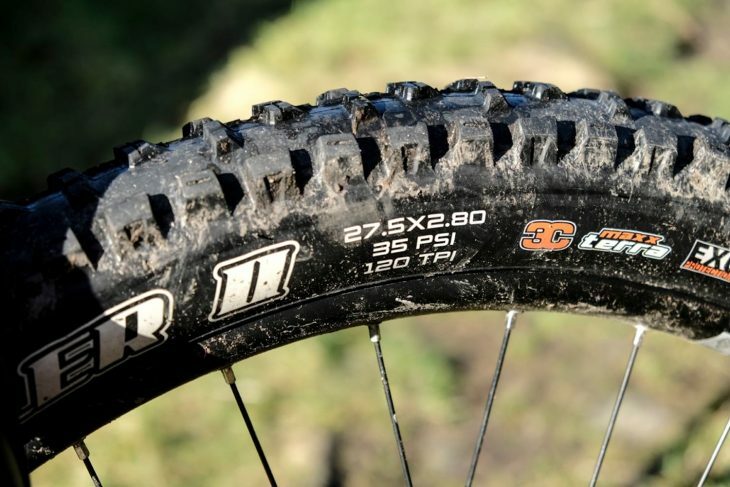 The chunky 2.8in tyres possibly just make the new 909 more of a trail bike than the XC/trail bike my 901 claims to be, and covering non-interesting ground just a bit more of a drag than a bike with narrower and lighter tyres would. However, leave the double track and fire road and head along some singletrack, or even better down some, and the 909 really comes alive. 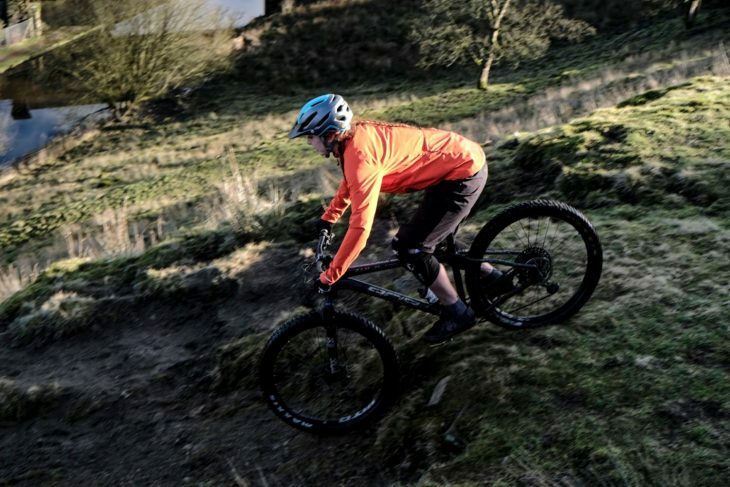 It’s still got the same confidence inspiring position that has you centred on the bike, never feeling like an over-the-bars is on the cards, but with something underneath you that feels just that bit more robust. Stand up and use your body to weave and wiggle between tighter lines and it’s an effort not to whoop out loud. You could be forgiven for buying it on looks alone. Sometime between the wiggling and the whooping, I realised I was actually going rather fast – and here’s where the modern and souped up version of the 909 compared to my old 901 really stood out for me. The wider tyres and rims, and the plush fork combined to give me more grip and a much smoother ride. Less than optimal lines were forgiven as either the tyres gripped the trail or the fork soaked up the bumps. This is a hardtail that will handle more than my nerves are prepared to throw at it, and my talents run out before this bike’s capability. 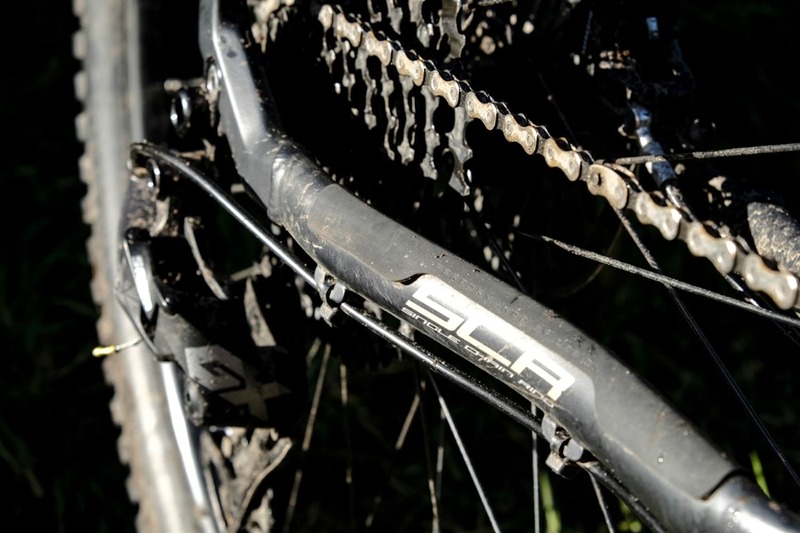 Whoosh, wiggle, whoop, giggle – the 909 is my bike after a course of steroids. High end fork on the the 909 model. Of course, that course of steroids comes at a price, and I’m tempted to suggest that I’d still have experienced a lot of the performance enhancing benefits of a modernised specification at the 905 price point. Dropping down again to a 901 gets you 2.6in tyres instead of 2.8in, and no dropper post…it’s probably worth that extra £300 or so to get the 905…buying the 909 might just fall into the the category of ‘because you can’, and maybe because you like the colour. But liking your bike on sight is important. I still like my 901, but I’m afraid I like this 909 rather a lot more. Maybe I should check out the price of gold paint. You always feel balanced and confident on this bike. If you definitely only have room for one bike, this is surely a strong contender for that precious shed space. There’s very little you couldn’t ride on this bike if you tried (or had the skill), and unless you’re trying to keep up with an XC crowd, you’re going to have a lot of fun finding your limits. I’m about to find out. First ride on mine tonight at Glyn Ceiriog. I thought they fitted thicker grips to help absorb some of the chatter. They feel thick ish to me. Re: the brakes, aren’t the Guides pretty well received as a tough trail brake? Enjoy your ride @Trailrider Jim – we’re a bit jealous! The Guides are indeed usually reliable, but we did find ours a bit under powered – which as we say could be down to the bike having some use before it came to us. Amanda and I both found the same thing (and about the grips too) without having compared notes first, so there was definitely something going on. Have fun and let us know how you get on! Always good to hear that new “standards” make it difficult to upgrade an “older” machine. Ah the wonders of the simple bicycle. Nice bike. 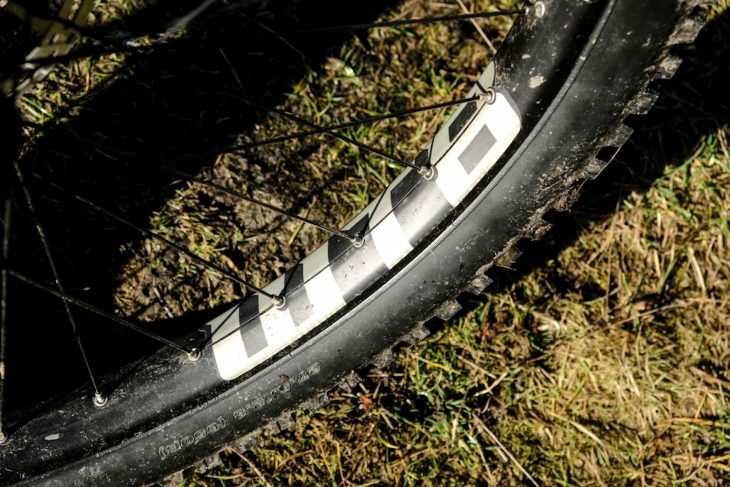 I wonder what it would feel like with some nice light 29er wheels and 2.4 tyres. Thanks for the reply Hannah. Coming off Shimano brakes, I did feel the brakes were lacking the immediate on/off power I’m used to, but it was very wet last night. Plus points from the first ride: great riding position, really confident handling bike, those big tyres just monster truck through tech and corner very well. 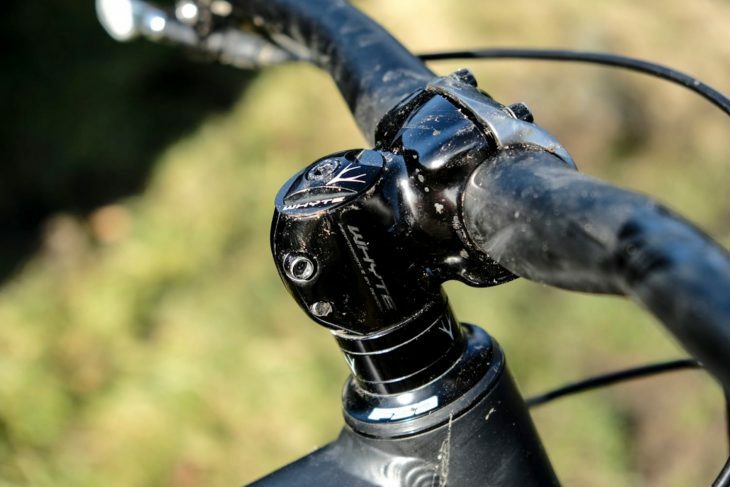 Fork feels smooth and stays composed at speed. 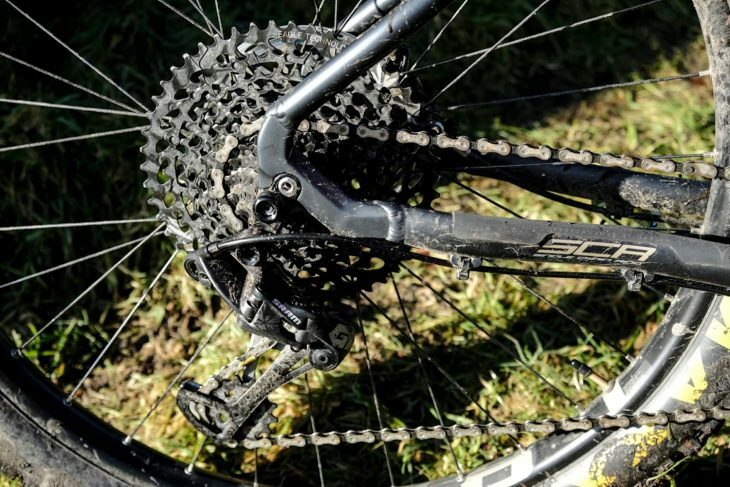 Eagle drivetrain gets on with the job well. My is it perdy, got lots of looks and comments! 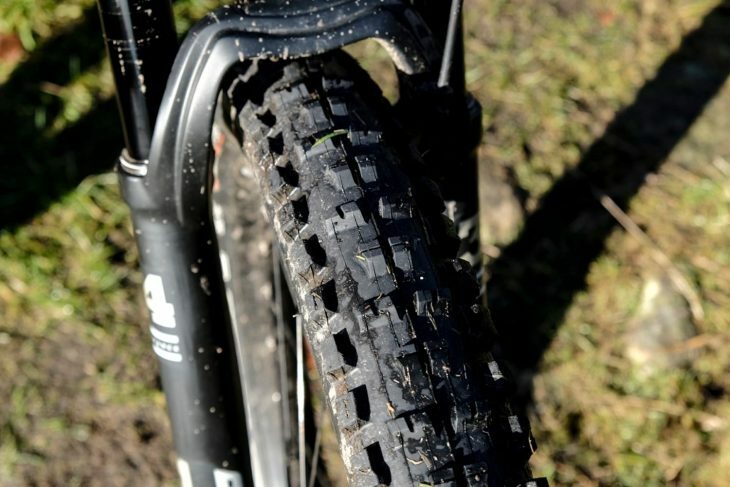 Minus points: the plus tyres are draggy uphill and I couldn’t get used to the riding position uphill – my feet felt too low and arms outstretched, but I suspect its a first ride feeling.